10GBASE-T SFP+ transceiver has high performance, good reliability and so on, mainly used in Cat 6a or Cat 7 of copper cabling System for 10G Ethernet transmission, it conforms to the SFF-8431 and SFF-8432 MSA standards, transmission distance can reach 100M. In addition, compared with SFP+ high-speed cable, 10GBASE-T Copper SFP+ transceiver can save at least 0.5W power consumption, and its port can support shielded twisted pair, but also support unshielded twisted pair. Therefore 10GBase-T SFP+ transceiver is becoming more and more popular in network switches and servers because of its lower cost and higher ease of use. So if you don’t have any 10G devices, you should get those 10GBase-T ports. 10GBase-T SFP+, SFP+ DAC, and SFP+ Transceiver are the most commonly used types in the 10G network, in addition to the relevant 1000BASE-T SFP transceiver for the GE network application, now let us highlight the difference between these products. Each option has its advantages, but 10GBase-T’s compatibility with existing structured cabling devices and existing low-speed devices makes it uniquely suited for widespread deployment. These features, combined with superior cost and achievable features, make the simplest path of 10GBase migrate from Gigabit Ethernet to 10G Ethernet. 10GBase-T copper cabling is also significantly cheaper than fiber or DAC cost. Compared with fiber and SFP+ DAC, using 10GBASE-T SFP+ is an effective 10G connectivity solution that reduces capital and operational costs while improving reliability and performance. 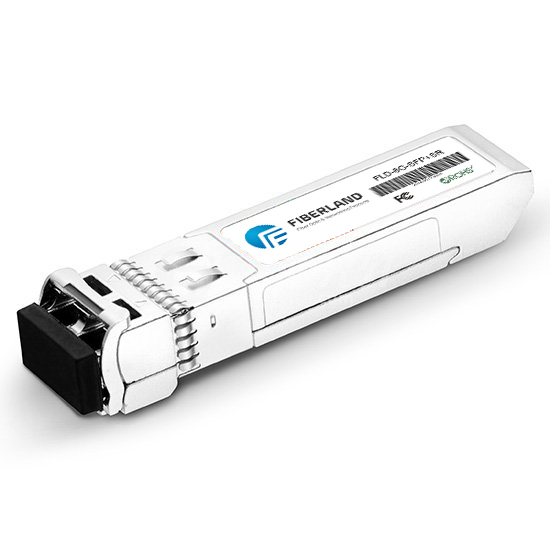 If you need longer transmission distances more than 100meter, then fiber SFP+ transceiver is the most appropriate. Regardless of the solution you use, it is important to remember that high-quality cabling from reputable vendors will help ensure performance and reliability. Fiberland always delivers high-quality fiber SFP+ transceiver, DAC cables and 10GBASE-T SFP+ for IT managers, providing with competitive price and fast shipping.